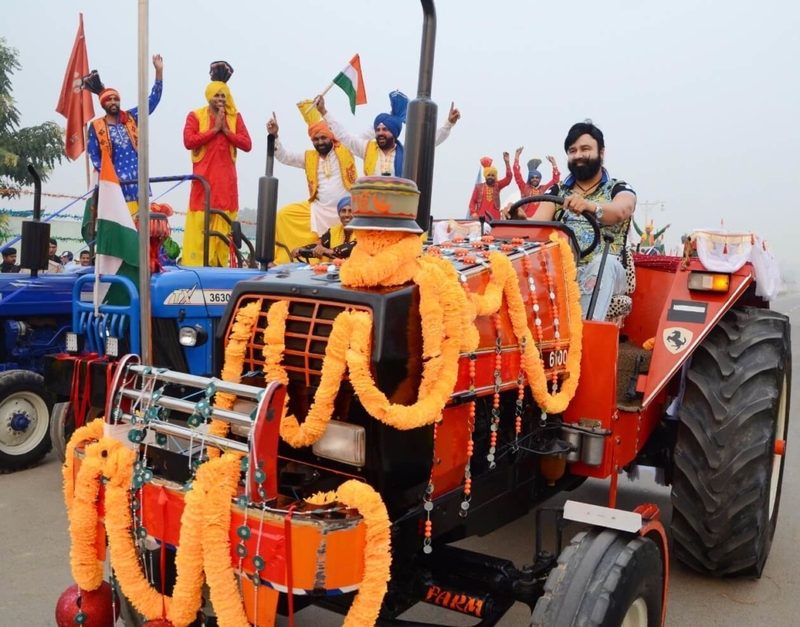 An elegant cavalcade of tractor trolleys carrying colorful Bhangra dancers, and Saint Dr MSG in a dashing young Secret agent avatar driving a tractor. A gala entry to a grand event. 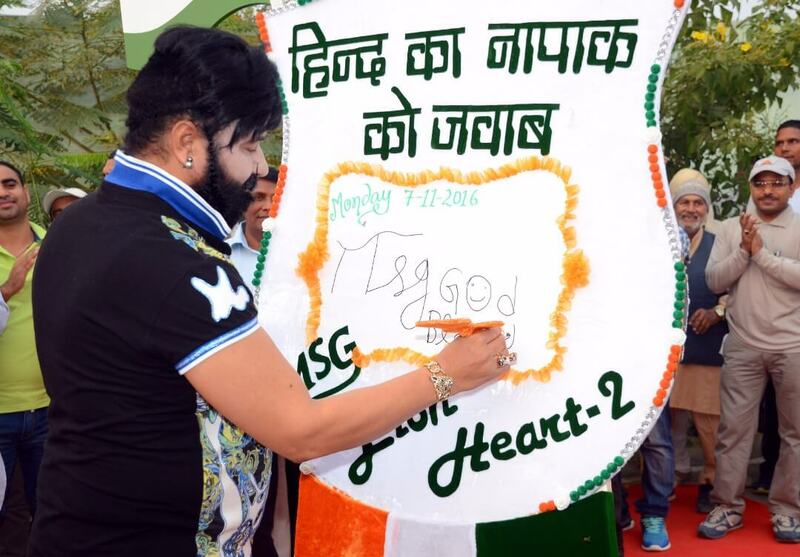 But after the inauguration ceremony, Saint Dr MSG dropped one bombshell after another; a unique initiative to defeat terror with awesome entertainment to bolster patriotic feelings. 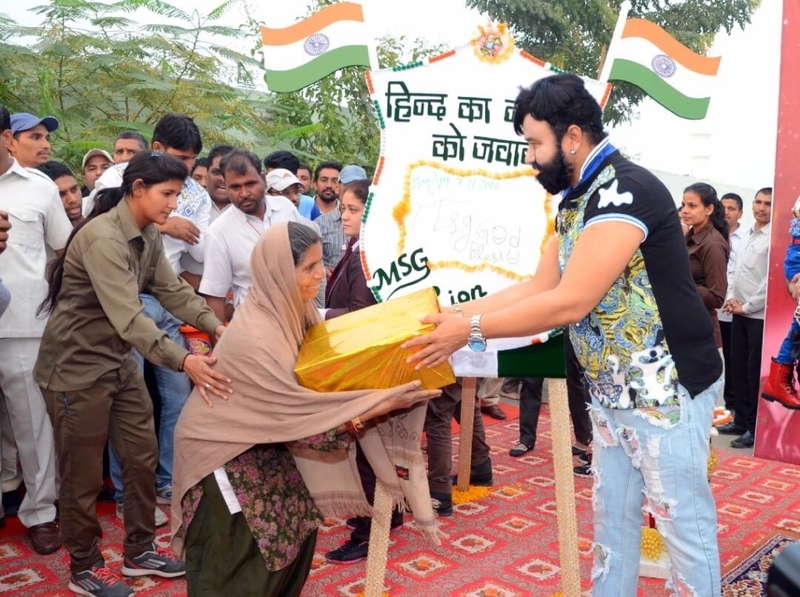 Dr MSG also distributed ration to ten needy families. 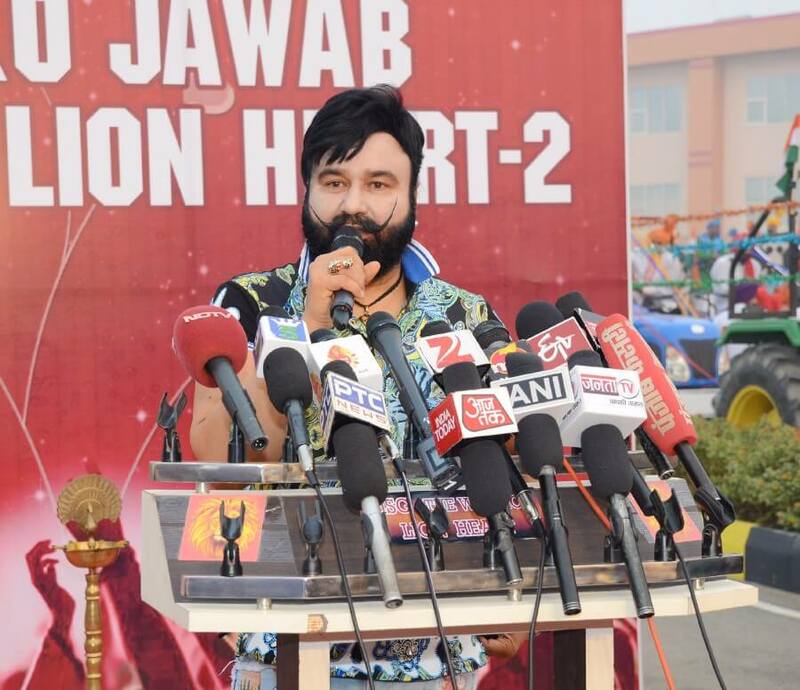 The film is the the first on the recent surgical strikes in Uri and Dr MSG said that it will also capture the moments when our valiant army men killed the perpetrators of mindless violence against Indian lives. It will also provide evidence to those who have questioned the truth about the army action. The film will be shot across India in exotic locales ranging from Sikkim, Himachal, Rajasthan, Kerala etc. 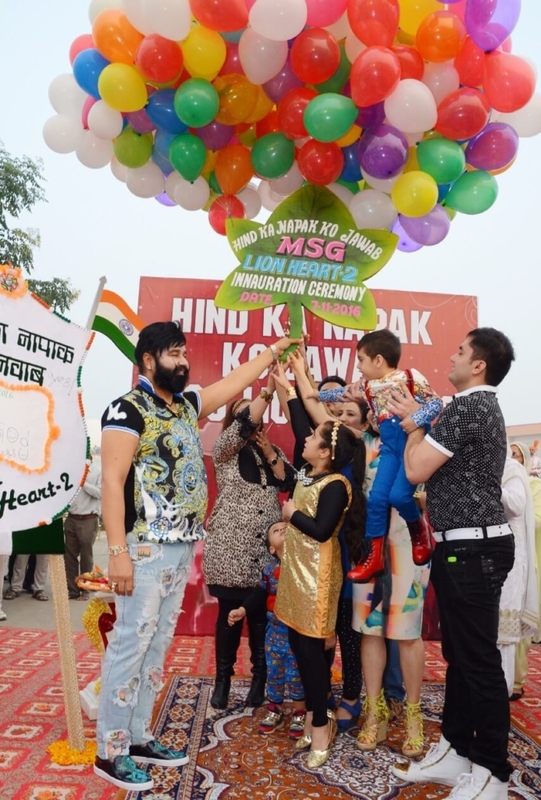 Like the previous film, the father-daughter duo, Dr MSG and his daughter Honeypreet Insan shall direct the film while DOP, Santosh Thundiyil is also working alongside. Guruji’s youngest daughter Amarpreet , who is an accomplished singer is likely to be the female playback voice. 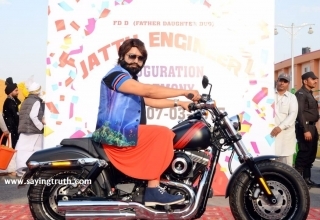 And Dr MSG hinted that the film could also a love triangle, in the middle of all the action. The Saint announced he will play a top secret Indian agent who crosses into Pakistan and gets going. He said that guerilla tactics were employed by Rajputs and Marathas and hinted that the film will offer an insight into the future. Every attempt is being made to honor the families of the martyred soldiers while the families of the Uri martyrs have already been disbursed cash assistance, he said. 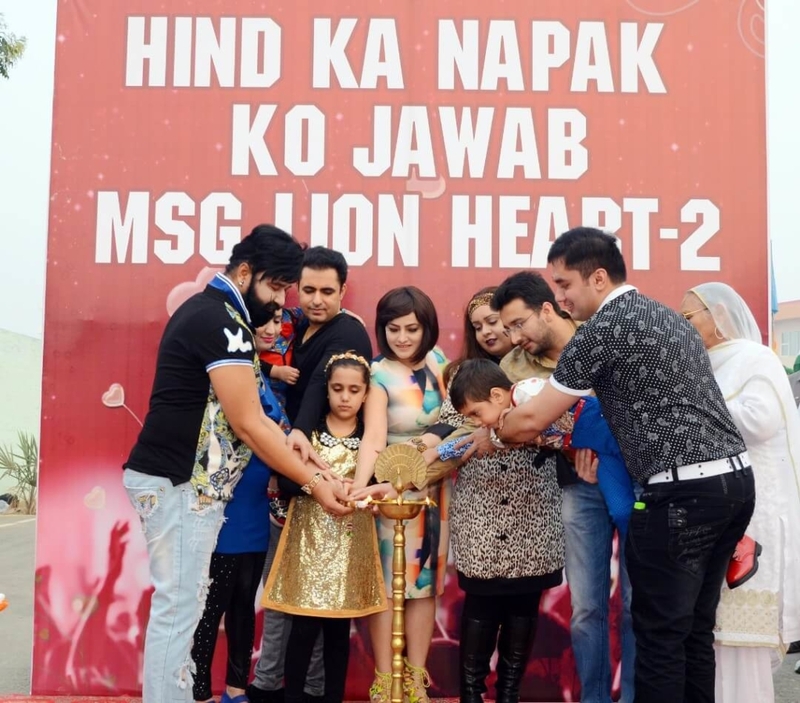 The previous film MSG The Warrior LionHeart is still doing over 1000 shows a day and has crossed the 300 crore collection mark in a month. 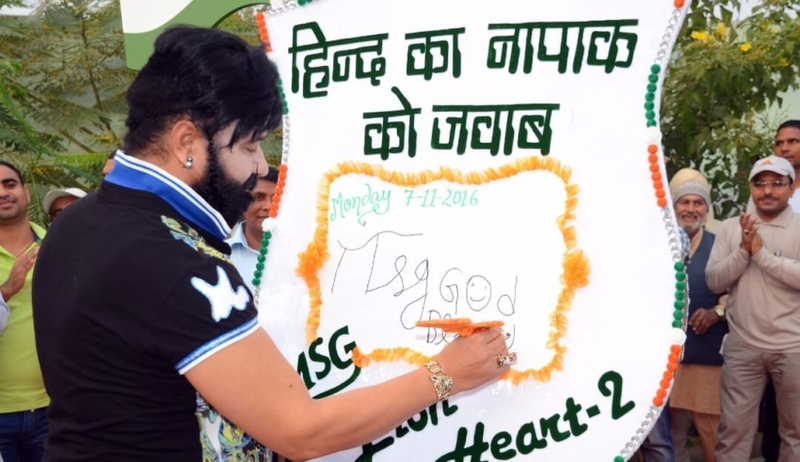 The details can be viewed daily on Dr MSG’s twitter page!